Cheetahs are vanishing off the face of the earth almost as fast as they can run, and if we don’t do something soon we will be holding elections for a new fastest land mammal before too long. While Namibia has had enormous conservation successes over the years and currently boasts the largest population of cheetah worldwide this is not enough. The cheetah needs your help and it needs it now. Cheetah numbers have declined by over 50% percent since 1975 and continue to plummet but thanks to organisations like the CCF (Cheetah Conservation Fund), it is not too late to save them. The main obstacles that the species faces is loss of habitat and conflict with farmers who are trying to make a living from livestock farming in areas where cheetahs roam wild. The CCF works with farmers to increase the viability of cheetahs living amongst these farmers, as over two-thirds of the world’s remaining cheetahs exist outside of protected areas. What can you do to help save the cheetah? Very simply, getting money into the right hands ensures that resources can be purchased to continue the fight against cheetah extinction. Every cent really does count and so does every second. Want to get more hands-on? 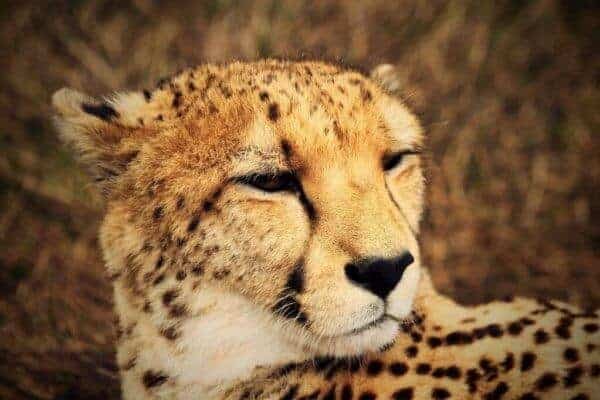 Volunteer for an internship at a cheetah conservation centre where you will help to feed the animals, look after their enclosures, assist with general maintenance, and eventually take guests on guided tours of the facility. Take a tour of a cheetah centre yourself, enjoy lunch at the onsite restaurants, watch the cheetahs on their daily runs or at mealtimes, but most importantly – interact with the conservationists there and become passionate about cheetah conservation. Support our National Parks who in turn pump money into the conservation of threatened species. During your safari you will learn to appreciate Africa and all her creatures. It all starts with a trip to Windhoek, Namibia from where you can branch out to enjoy our wonderful Southern African wildlife.